Knitting, crochet and quilting are often seen as women’s work (see this article for how this has recently come up in the media. They are also often seen as time-wasting, petty or unimportant skills – ask any knitter/crocheter/quilter and they will have a story about someone saying ‘Must be nice to have the time to do that, I have too many important things to do’. Even more knitters/crocheters/quilters will have been asked to make something complex, time-consuming and bespoke, then upon asking for payment for the tens or even hundreds of hours of labour required to produce such an item, they are met with incredulity – ‘Well my grandma used to knit me jumpers all the time and never charged me’ or the even more galling ‘I am not paying for that when I could just make it myself’. 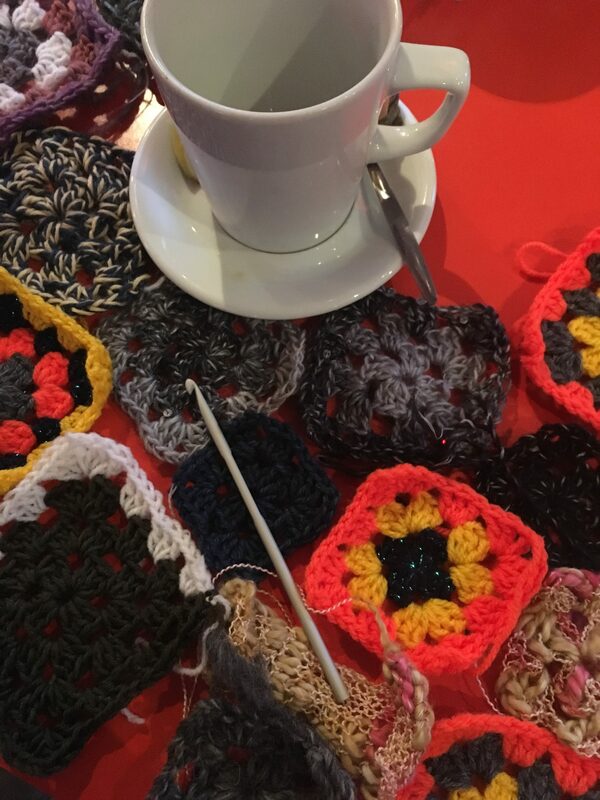 At this stall, we will teach you how to knit/crochet/quilt a coaster (no previous experience required and materials provided!) and discuss the way these activities are devalued, sometimes even by knitters/crocheters/quilters themselves, and how we can learn to value these skills for their inherent artistry, and not just write them off as ‘something my granny used to do while watching TV’. I am Sam, I have been knitting for 14 years, crocheting for 8 years, and I enjoy teaching people how to knit/crochet, and standing up for an art I love! I’m Ana, I’m an avid crafter and feminist. I am a member of several quilting groups and love exploring the political and subversive power of crafting.